Sometimes you want to start a family, but just not at the moment. That’s why cryopreservation is a great option to consider. Thanks to fertility preservation techniques at our Lubbock, TX clinic, people can preserve eggs, sperm, and even fertilized embryos for later use. With successful frozen embryo transfer techniques performed by our fertility specialists, you can have a healthy child when you are ready. The team at the Centre for Reproductive Medicine would like to discuss how long frozen embryos last. During a consultation with Dr. Janelle Dorsett, you can learn more about this procedure and whether or not it’s a good option for you. Is There an Average Age for a Frozen Embryo? So far, most people use frozen embryos 5 to 10 years since the initial cryopreservation was performed. There have been numerous reports of frozen embryos used after 10 years, resulting in pregnancy and successful live birth. This speaks to the effectiveness of cryopreservation in helping people makes their dreams of parenthood come true. What Is the Oldest Frozen Embryo Successfully Used? As of now, the oldest frozen embryo used was 24 years old. This frozen embryo was donated to a young couple in 2017; the mother was 26 years old at the time, and her husband experienced infertility due to cystic fibrosis. Prior to the use of this 24-year-old embryo, the next oldest embryo used was nearly 20 years old. Again, this speaks to the effective of cryopreservation techniques. What Is the Oldest Frozen Embryo Available? Embryo freezing techniques were developed in 1984, though only came into popular use in the late 1980s. Given these facts, the oldest frozen embryo available would be about 30 years old, give or take. 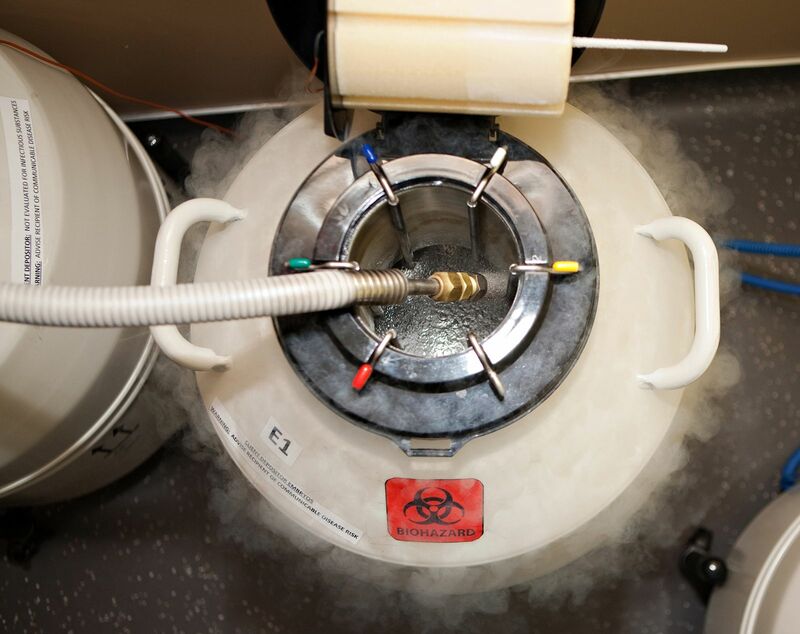 Is There an Upper Limit on the Age of a Frozen Embryo? A study published in the Journal of in Vitro Fertilization and Embryo Transfer in 1986 tackled this question. In theory, a frozen embryo could be used 2,000 years in the future and result in successful pregnancy and live birth, assuming it still survived the thawing process. The freezing process does not impact the pregnancy rate in fertility treatment procedures, so as long as the frozen embryo remains stored at -196°C. Is Embryo Freezing a Good Option for Me? If you are interested in having children but wonder if cryopreservation is the answer for your needs, it’s important to discuss this with a trained fertility specialist. During the consultation process, we can answer your questions, address your concerns, and suggest the most ideal procedure given the nature of your situation. We are here to help. For more information about fertility preservation and your many other options for starting a family later in life, be sure to contact an experienced fertility specialist. We at the Centre for Reproductive Medicine are here to help. You can reach us by phone at (806) 788-1212.